View Day 7 Prize Presentation on Facebook. 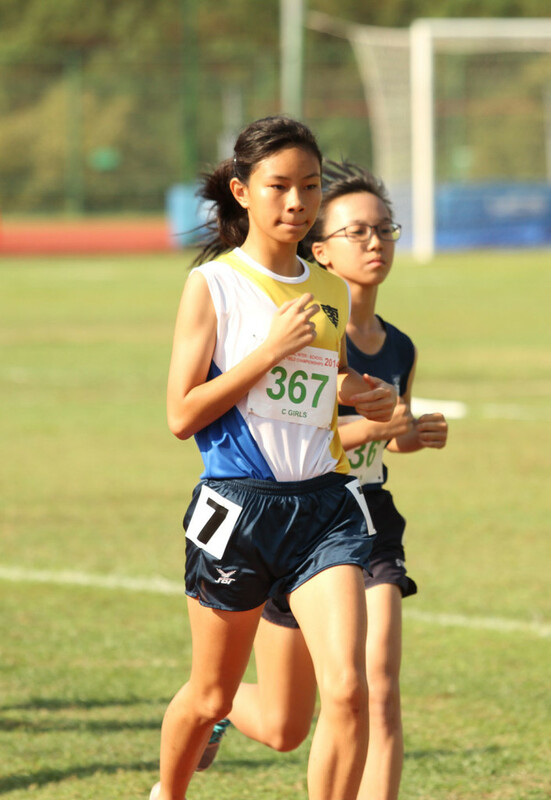 Arissa Rashid (#367) of Nanyang Girls’ High School fended off fellow teammate Kang Yunru, Ruth challenge in the final part of C-Girls 1500m race to win gold in the event. Arissa finished ahead of Ruth, 5:24.08 to 5:25.25. 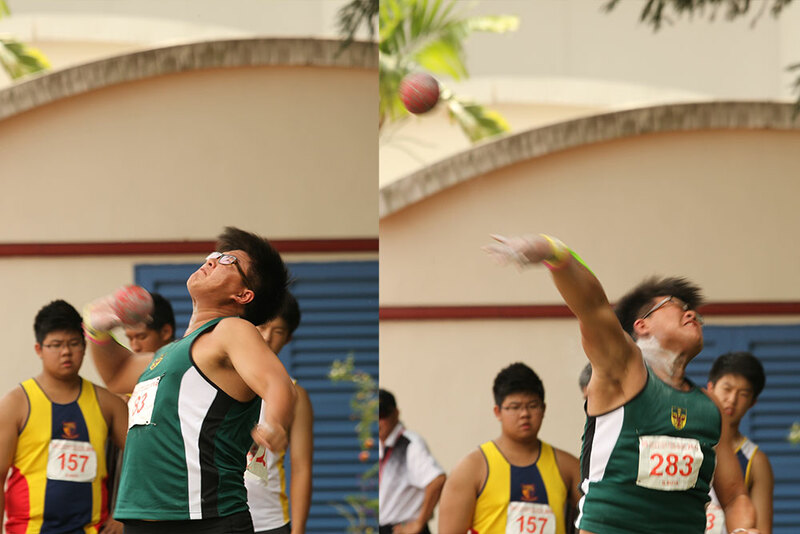 Raffles Institution second National Schools gold of the day came from B-Boys shot putter (5kg) Jordan Chia Ting Xuan. The 15-year-old was the only athlete in his field to surpass the fourteen metres mark, his 14.02 metres sealed the first position. Jordan was also last year C-Boys shot put (4kg) division champion at Nationals. 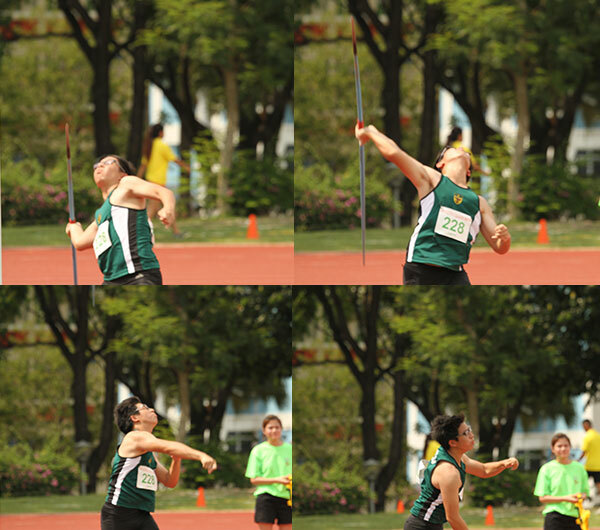 It was Jerome Wong Jen Hoe first maiden participant in the National School and he struck gold for Raffles Institution in the C-Boys javelin throw (600g) event earlier. The 14-year-old had only a 34.70 metres personal best from last season but smashed it with a 44.20 metres effort. It was a good field day for Singapore Sports School as their B-Girls in the long jump event earlier grab hold of the top three positions. 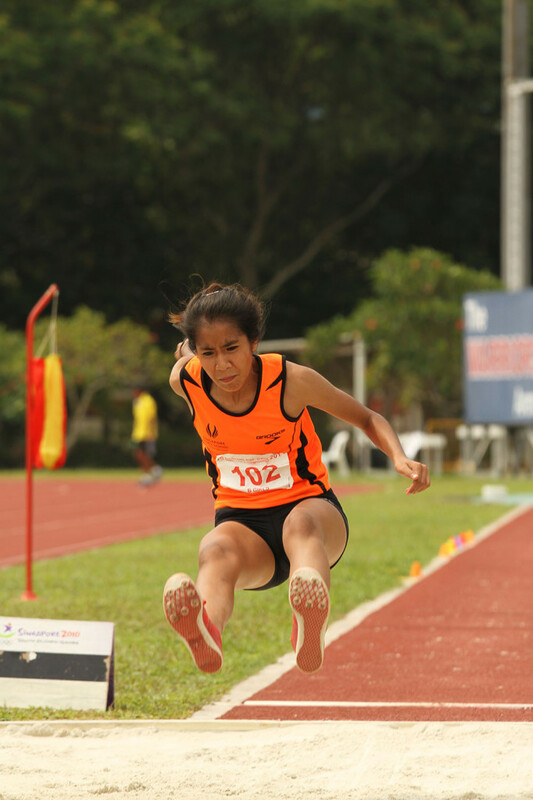 Sarah Nadia Bte Aidil Tamzil emerged the champion with a 5.07 metres leap.